So, this trend is for those that have seen the most anticipated movie in 2018 and currently topping box office with over $300 million and still counting. What was your high and low of the movie? 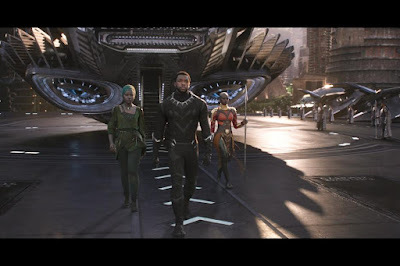 When Shuri gives T’challa the new shoes (called sneakers), she mentions that they absorb sound & allow silent footsteps, which T’challa demonstrates. Later in the film, T’challa runs up a ramp wearing the sneakers… accompanied by the sound of footsteps.